Economic links between Russia and Iran are the trump card in contacts that have often been complex. Russia and Iran have always co-operated. Even during the reign of Shah Reza Pahlavi, who was swept from power by the 1979 Islamic revolution, Iran and the Soviet Union had joint industrial projects, and Tehran even bought Soviet military hardware. Under the Shah, who was considered to be a key U.S. ally, the Soviet Union built a major repair plant for armored vehicles, Babak, which has lasted until today. After the Islamic revolution, relations became more complicated, starting with the denunciation shortly after the 1979 Islamic revolution by Iran of articles 5 and 6 of the Soviet-Iranian Treaty of 1921, which were very sensitive for Moscow, since they contained mutual obligations to prohibit the presence of troops hostile to Russia or Iran within their respective territories. But cooperation in various fields continued even during fierce ideological debates between Moscow and Tehran. Today, there is a new surge of Russian-Iranian cooperation, which outrages the West. But contrary to popular belief, most of these projects are economic in nature. Of course, Russia and Iran both support the regime of President Bashar al-Assad in Syria. The Russian air force used Iran’s Hamadan airbase in August. However, the economic component of cooperation is considerably more significant. Russia and Iran have contradictory interests. 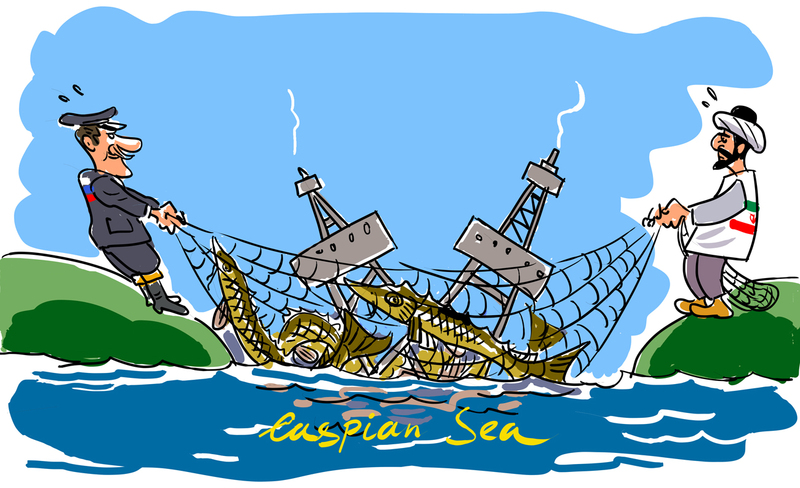 Both Russia and Iran wish to share the Caspian Sea's resources, but their approaches are based on the desire to retain the most important oil and gas regions. Russia and Iran have common objectives in confronting the Salafist movement in the Middle East and Central Asia. However, they are aimed at strengthening the forces that they control in these regions. In addition, Iran is seeking rapprochement with the West, which cannot help but affect its relations with Russia. Moscow attributed the failure to convert the Hamadan airbase into a permanent base for Russian aircraft to the tendency of certain circles in Tehran to play along with Washington. The conflict in Syria also revealed differences in the approaches of Russia and Iran, both in political and military aspects, and this is in spite of the common commitment to support the Assad government. The reality is that Russia wants to develop relations with all the Persian Gulf countries, including military co-operation. For example, during his recent visit to Moscow, the King of Bahrain is said to have discussed the possibility of being supplied with Russia's sophisticated anti-aircraft missile systems S-400. Iran is in a state of intense competition with these countries, and almost in a state of military confrontation with Saudi Arabia – after the execution of the Shia preacher Nimr al-Nimr by the Saudi authorities. So co-operation between Russia and Iran is an example of the extremely complex interaction of countries that are inherently competitive – both politically and economically – but try to limit this competition to pursue co-operation in those areas where their common interests prevail. At the same time, Moscow is extremely sensitive about the West's attempts to exacerbate Russian-Iranian contradictions and play them, seeing this as being aimed at destroying the partnership between Russia and Iran and stimulating the Shia state's hostility toward Russia and its partners. Iran today is in a very difficult socio-economic situation. If the current, relatively liberal leadership in Tehran is not able to provide socio-economic progress, then it may cause a new wave of Shia fundamentalism and take relations between Iran and the West back to the time of President Ahmadinejad (2005-2013), which was characterized by confrontation. The success of Russian-Iranian economic co-operation, contributing to strengthening the position of the “moderates” in Tehran, is in the interests of the West. Ultimately, the EU is also interested in Middle Eastern stability, as well as participation in the modernization of Iran, the ground for which Russia is preparing today. Dmitry Yevstafyev is a professor at the Higher School of Economics, Moscow. Are the U.S. elections really a turning point for global geopolitics?